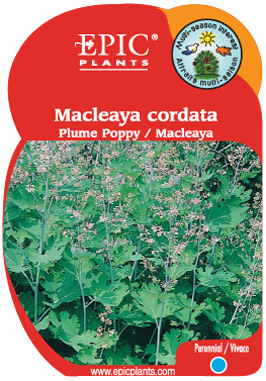 An extremely large perennial with grey-green, heart-shaped leaves. Topped with plumes of numerous cream-coloured blooms. Spreads easily -- needs lots of room.